In the 80’s and 90’s, Benetton was trendy, cool and controversial. As a marketing student, I really admired their edgy & provocative advertising campaigns. 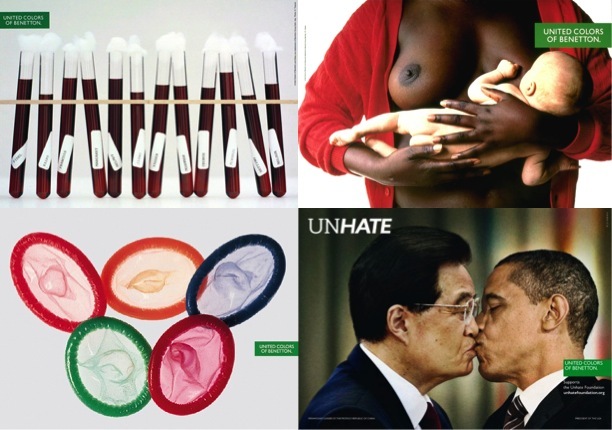 All of a sudden, the whole world knew who Oliviero Toscani was – top photographer and creative director at Benetton from 1982 till 2000. They used topics like politics, aids and racism to evoke attention and it had an enormous impact on sales. Their success story was studied in every business school. But what has happened to this brand, that nowadays it has disappeared completely from our radar? How fashion forward they were then, so out of trend they are now. For a brief moment, they were in the spotlight again with their “unhate” campaign. But they quickly disappeared from the stage again. Will Alessandra Benetton, the new CEO of the Italian fashion house, achieve the company’s turnaround? Sales have stagnated since 2000 (that was also the year Toscani left the company). In comparison, H&M quadrupled their sales in the past decade and Inditex increased sales about sixfold. And as we know, in business, standing still means going backwards. This entry was posted in Fashion and tagged Alessandro Benetton, Benetton, rebranding, reorganization by sofischoice. Bookmark the permalink.